The University of Notre Dame will lead a National Nuclear Security Administration (NNSA) Actinide Center of Excellence (ACE) to conduct research in actinide and nuclear chemistry. The NNSA’s Stewardship Sciences Academic Alliance program will provide $12.5 million for the center, which is tasked with prioritizing research that is important for Stockpile Stewardship — the certification that the nation’s nuclear weapons are secure and operational. The center will be led by the director of Notre Dame’s Center for Sustainable Energy (ND Energy) Peter Burns, Henry Massman Professor of Civil & Environmental Engineering & Earth Sciences (CEEES) and a concurrent professor of chemistry and biochemistry. 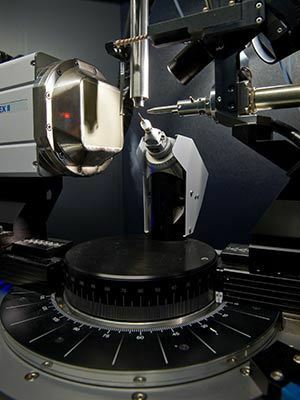 The research conducted at ACE will integrate both experimental and computational approaches to analyze radioactive materials, including the elements americium, neptunium, plutonium and uranium, taking advantage of specialized facilities developed at Notre Dame. Further, the team of researchers will focus on three specific themes: the properties and structure of nanoscale radioactive materials; the thermochemistry, or heat energy, associated with these materials; and how nanoscale nuclear materials react in various chemical environments. “With our colleagues from Northwestern University, Oregon State University, the University of Minnesota and Washington State University, I am confident that this team of scientists and engineers will have a significant research impact on the future handling and usage of radioactive materials — one of today’s most critical national security issues,” said Robert J. Bernhard, Notre Dame’s vice president for research. A major goal of the center is to support workforce development as it pertains to Stockpile Stewardship. 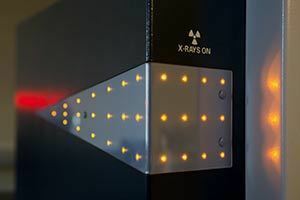 Researchers will train graduate students, postdoctoral scientists and engineers to plan, set up, and conduct safe and efficient experiments with radioactive materials. ACE will be funded over five years and support 16 doctoral students and eight postdoctoral researchers from across all involved universities. The program will require graduate students to complete a course in actinide chemistry, taught jointly by the University of Notre Dame and Washington State University, and a three-month research internship at one of NNSA’s three laboratories across the country. Notre Dame’s Amy Hixon, assistant professor of CEEES, and Jay LaVerne, concurrent professor of radiation physics, will also be involved. To learn more about Notre Dame’s sustainable and secure nuclear energy research conducted through ND Energy, please visit energy.nd.edu. Originally published by Brandi Klingerman at news.nd.edu on November 07, 2017.